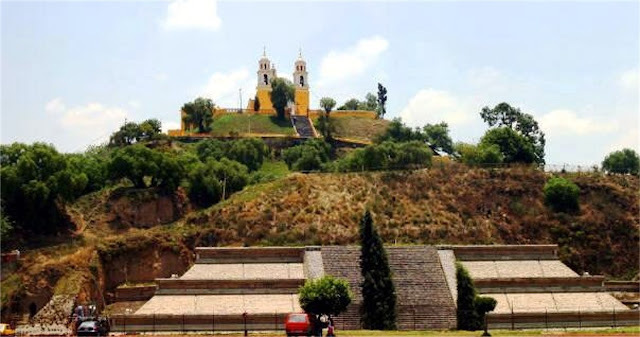 One of the most visible features in the little town of San Andres Cholula, in the Puebla region of Mexico, is the church 180 feet above the city. This is the Iglesia de Nuestra Senora de los Remedios (Church of Our Lady of Remedies), also known as the Santuario de la Virgen de los Remedios (Sanctuary of the Virgin of Remedies), which was built in 1594 on top of the prehispanic temple. 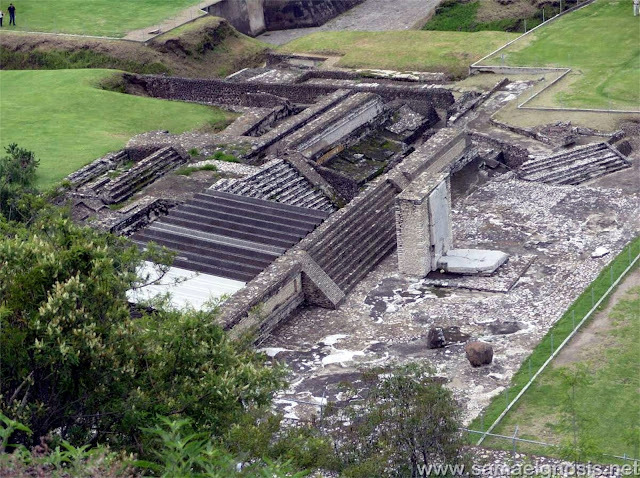 The church was built back in the days of the Conquistadores, making it an interesting site in and of itself. 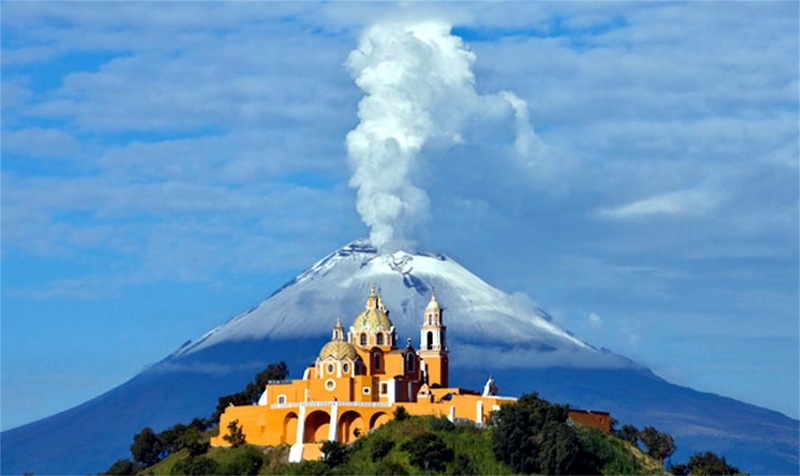 Framed against a smoking, active volcanic peak, it is one of Mexico's most picturesque and popular tourism photo-ops. You see, as the conquerors from Spain moved through Central and South America, they would tear down the pagan temples that they found and build churches in their places. 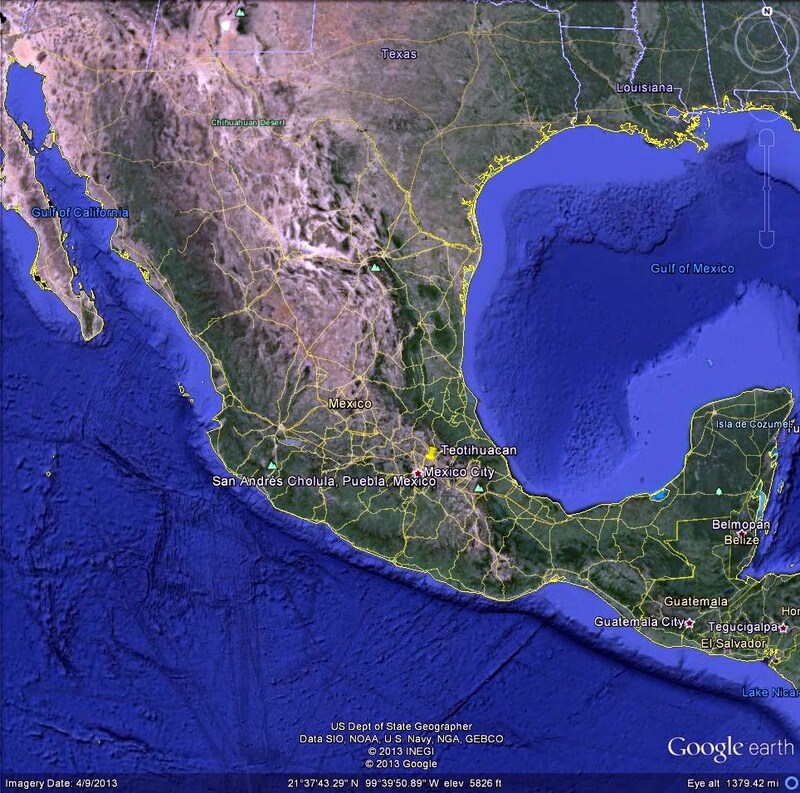 It was their way of asserting not only the dominance of the Spanish, but also of Catholicism over the native religions. The Native Americans had spent thousands of years building a lot of temples and shrines, so there were a lot of churches built to replace them. Many of these shrines and temples had been elevated by placing them on top of stone pyramids. 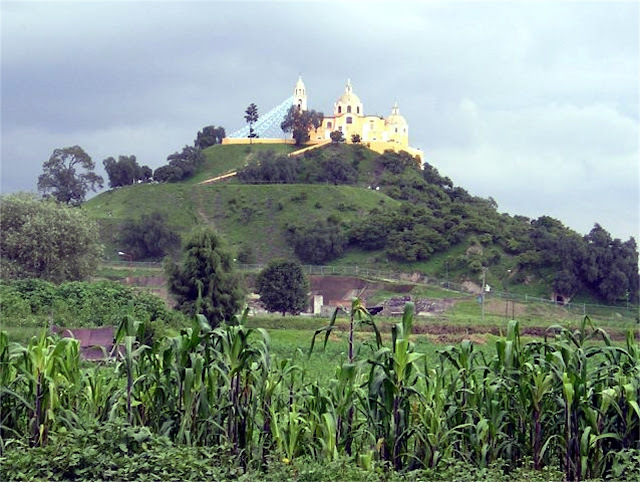 That applies to our story when you realize that the little church in Cholula is not sitting on a hill. 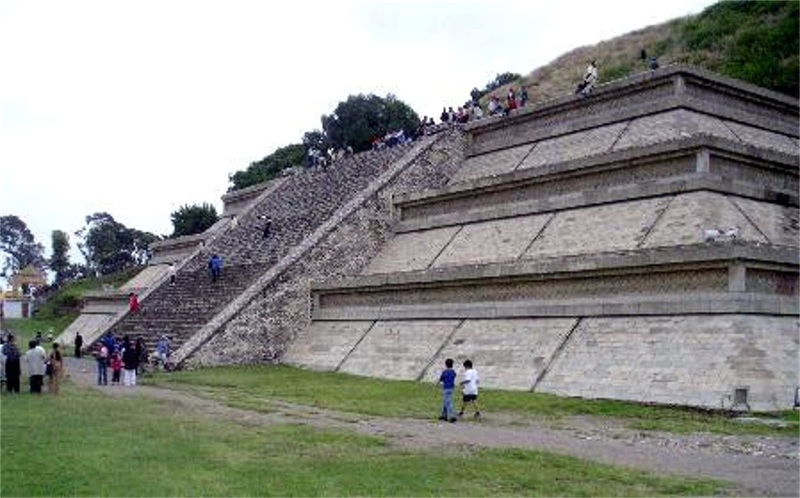 It is sitting on a pyramid complex that is one of the largest in the world. It may be the greatest wonder of the ancient world that you'll never see. You can't see it because it is covered in earth. It explains why it's not very well known. A mound of dirt is not very photogenic. 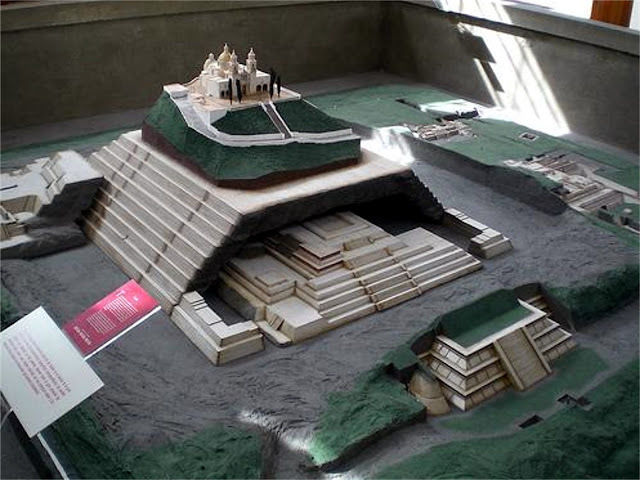 You see, another name for the site is "Tlachihualtepetl" (Nahuatl, which is the local Native American language from the time of the Aztecs, for "artificial mountain"). It is entirely composed of stone within. The Great Pyramid of Giza, which is touted as one of the seven wonders of the world (and the tallest until the building of the Eiffel Tower), only employed 2.5 million tons of stone. 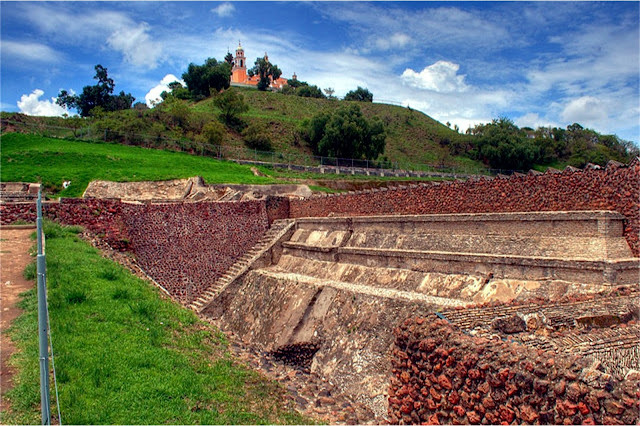 The Great Pyramid of Cholula is nearly twice as large! Researchers have dug over five miles of tunnels throughout the mound. 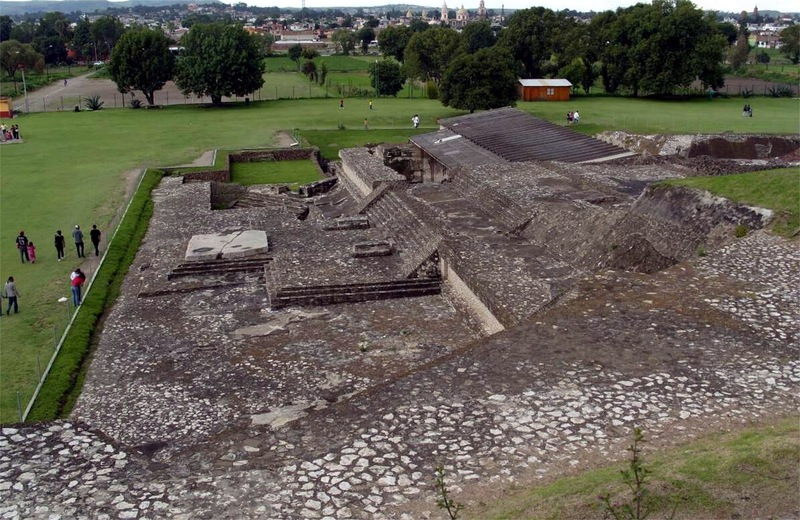 Their research has concluded that the style of stone work and the artifacts found link this site to the city of Teotihuacan, which we have discussed before. These researchers date the origin of the site to somewhere in the 200's B. C. Maybe. I won't go into my problem with dating stone work. I currently work in a business that produces monuments. The very foundation of our business is the idea that these stones, once carved, remain the same for thousands of years, unless acted on drastically by outside forces. They don't degrade or change over time, like organic materials (wood, leather, etc.) do, so I hold their dating techniques in very low regard. 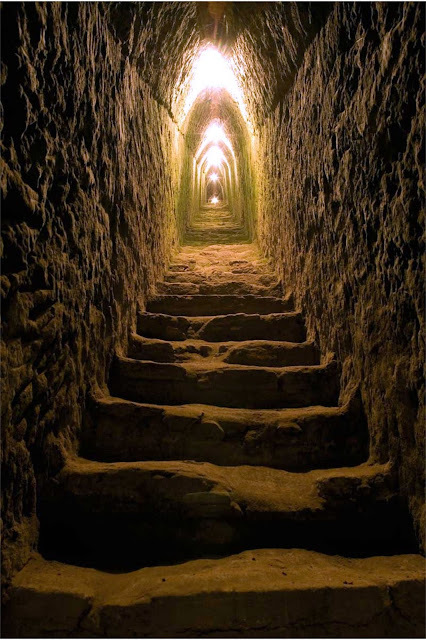 However, the technological skill in the stone masonry and the sheer scope of the project dwarfs anything that modern man could possibly accomplish. How much less does this fit the scenerio that the evolutionary materialists would foist on us of a culture composed of little guys running around in loin cloths, carving, moving and setting this stones with raw man power and ropes and sticks, without even the benefit of the wheel. Once again, the materialists' fairy tale is breaking down under the facts.